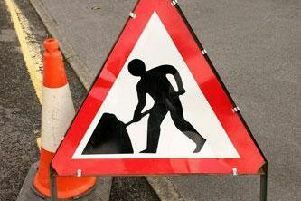 Drivers have been warned to expect “significant delays” over Easter with more than 20 million cars expected on the roads between Maundy Thursday and Easter Monday. Traffic is set to peak at 28 per cent above typical levels at 5pm on Thursday as motorists embark on the bank holiday getaway, according to transport information supplier Inrix. It said the worst affected roads will be major motorways, with some journeys taking as much as three times longer than normal. between 10am and 2pm, and Monday between 12pm and 5pm. Easter Sunday is expected to be the quietest day on the roads with 25 per cent fewer vehicles than an average Sunday. Trains to Edinburgh, Glasgow, London, Manchester and Bath are among those affected. Network Rail said it is doing the work over the four-day weekend as fewer passengers use the railways on bank holidays. jetting off overseas. Some 868,000 people are due to travel through Heathrow Airport alone between Good Friday and Easter Monday, including an extra 200,000 families compared with a typical Friday to Monday period. Inrix head of research Graham Cookson said: “With UK drivers spending an average of 30 hours in congestion last year, motorists are no stranger to sitting in traffic. The warning to motorists came as the UK enjoyed the hottest day of the year so far. Sunseekers flocked to the beaches and parks as the temperature topped 25C (77F) in Cambridge, and rose to at least 20C (68F) in many parts of England and Wales.